I am a Maryland girl. I grew up about an hour north of Baltimore in the small town of Perryville. I currently live about 40 minutes south of Baltimore, outside of Annapolis with my husband and four children. My husband is a developer who works tirelessly to improve and restore worn down areas and buildings to beautiful structures of affordable housing and several of his projects exist in Baltimore. My brother-in-law is an Anne Arundel County police officer, one of the best in fact, with a wife and three young children to come home to and he has been working the streets of Baltimore for the last 8 days and nights. I couldn't turn off the news until well after midnight last night because it isn't every day that a city that you know and love is on a national stage, albeit for horrific reasons. If there is ever a time to wake up and pay attention, it is now. My brother-in-law was at Mondawmin Mall. My sister-in-law didn't have contact with him for hours. 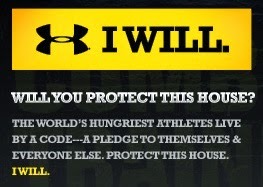 There are billboards and ads around Baltimore for Under Armour, a Maryland born and based brand that read "Protect this House" and the answer that follows is "I Will." Freddie Gray's family again and again asked for peace, to protect this house. The police have worked around the clock to restore peace, to protect this house. There were several Baltimore residents, former police, a Vietnam vet, lawyers and politicians interviewed that are doing everything possible to protect this house. Those who seemed to not get the message were not all, but some of the media, coming into town for a day, maybe two who seemed like what they most cared about was who to blame for this happening, and it wasn't the ones destructing. Which politician let the ball drop? Who in power let Baltimore down? Who should we run over with our media buses again and again? It wasn't about the acts of the "protestors" but the acts of the politicians that seemed to take the forefront in their coverage. It wasn't about how we go forward but how we keep looking backward, casting stones at the mayor and those who want more than anything than to see Baltimore thrive. Was it handled perfectly? No. 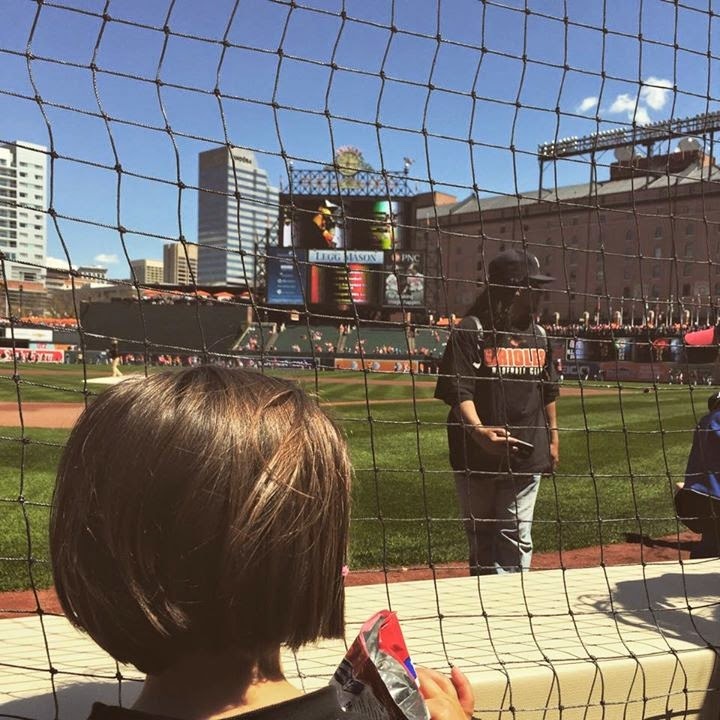 But I will say that I was with my children at Camden Yards on Sunday, joining thousands for Little League day and the mood of Baltimore was of hope. It felt that the worst was over. It felt that people heard the family of Freddie Gray and protestors would back down and not match an eye for an eye. It was not anticipated that Monday would bring devastation of historic proportions. Our politicians are not perfect but they are not the ones that have set the city ablaze. By grilling them and looking backward you are only fueling anger and separating those with power and those that destruct all the more, dividing a city that yearns and needs to join together. You have a choice in what the public hears. You have the microphone. You can choose to be a part of the problem or a part of the solution. 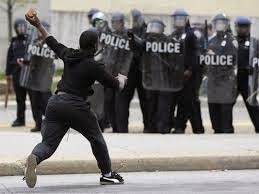 My brother-in-law said that there were 8 year olds throwing rocks and bricks at the police. He has an 8-year old and so do I. The image of a child destroying their own neighborhoods to attack the ones that are trying to protect it is not one I will ever understand or soon forget. Dear media, if you are looking for someone to blame for these events please blame those who have the rocks in their hands. The ones who teach children to throw the stones. Please don't be the ones caught with the rocks. I tell my children when they are looking to cast blame in an argument that it doesn't matter so much who started the argument, but the one who is the bigger person and ends it. It is time to move forward on the road ahead, unite and be part of a rebuild, a rebirth. It is time Baltimore. It is time. I need a favor from you, queen bee. I need you to stop saying that you are "just" a mother. I need you to stop right now. I need you to stop saying it in your future. Your child is so much more than just. Your life is more than just. You are so far beyond just... just doesn't deserve you. There is nothing slight about it. There is nothing just about it. You do not have time for the justs, the justifications and the judgements. You are doing the best that you can. And you are killing it. Thank you to The Honest Body Project for their stunning work and celebration of truth and motherhood. This is beautiful Amiah with beautiful James. Not just a baby. Not just a mother. I feel like there are too many things that I haven't told you. I think that is the thing with super women. We just assume that they know how extraordinary their super powers are that we forget to voice them out loud. We forget that everyone needs to have their cup refilled (yes, your exact words that you've said to me). I think it is beyond time that I expressed my gratitude out loud for the way you love out loud. There aren't enough words or pages for all of the things so here is just a beginning. You love my children. You say yes to them and dedicate whole days to the word yes. They know Yia-Yia is synonymous with laughter and play and swinging and all that is important in childhood. And adulthood. Whenever I am in doubt about the right decision of how to handle a situation with my kids I usually ask myself What Would Yia-Yia do? And that always finds a way to bring me to the right path; the happier path; the path of yes. You love me. You love me like I was one of your own children which makes me feel like one of the luckiest girls in the world. You have been a therapist, a friend and a mother. You not only watch my children but you have slipped me money when I've gone out the door for girls weekends. You give the best gifts from shoes to clothes to Anthropologie happiness. I know love has nothing to do with the material but I am astonished by the thought behind each and every thing. I know that I haven't thanked you enough because I am the worst ever at thank you cards but I know your generosity is lined in it all. I myself am stitched together by flaws laced in hopeful intentions but you never point them out. You never make me feel like not enough but instead like I am a light and I am not alone. You have an understated way of making everyone feel like they have gifts in this world that need to be shined for all to see. You see all of our children's strengths, all of their gifts. Not to say that they don't each have their faults, of course they do, but what a hopeful world it is to just look for the good. That in itself is a gift of yours. It is not a slight thing to be able to see everyone's light. You've shown me the love that is food. And that there isn't a situation in life that couldn't be improved by a glass of Chardonnay. You are a brilliant, bountiful and beautiful chef. You make the type of food that people yearn to be in your kitchen. You provide the company that people don't want to leave. And when they do they will not leave empty handed. I have not left your kitchen without at least 3 tupperware containers of your delicious food in the last 15 years. You've given me your son. 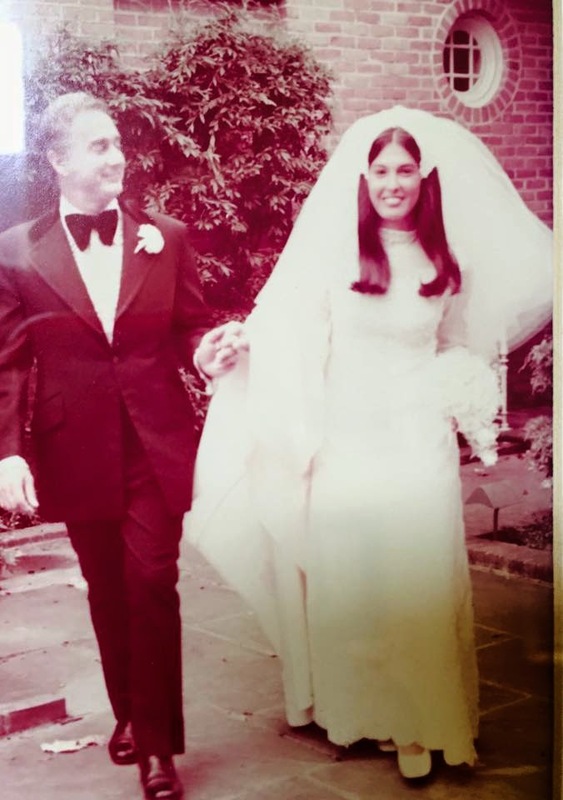 He is of course both of ours, for better or worse and I still call dibs on you should we ever get a divorce but when we got married, you handed him to me with grace. You handed him to me with hope. He will always be one of the best people I will ever meet in this world and that is to your credit. He is a strong man and he was raised by a strong woman. I am in awe of the tenacity in those genes and am grateful that blood that thick is coarsing through my children. And there is you. Resilience personified. You take nothing lying down and you take it with a smile. You find humor in what others would hide from. You bring laughter with a side of spanakopita. Dirty jokes with wine. Strength with spirit. You do not let things break you. You overcome. I hope that when I become a mother-in-law that I do half as good a job as what you have done for me. That would be the ultimate success. I know I never have called you Mom but that doesn't mean that I would ever consider you as anything else. Thank you. Thank you for everything. You will always be more than I could hope for.